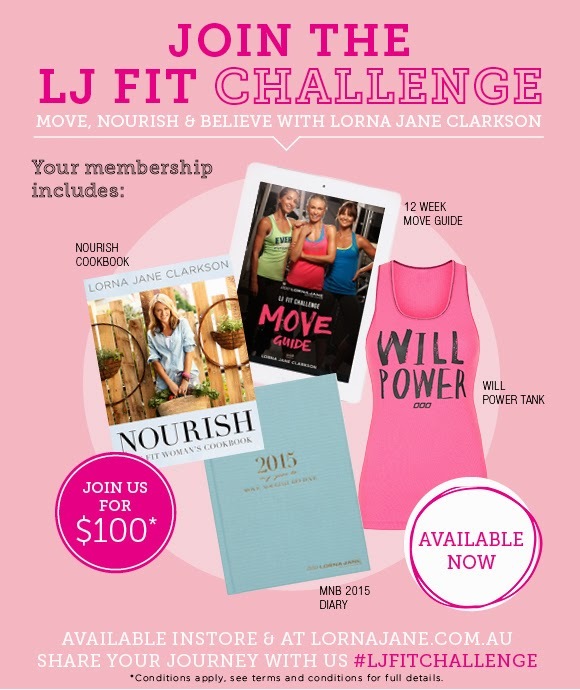 I'm very excited to announce that I have joined the Lorna Jane Fit Challenge! This is 12 weeks of workouts, nutrition, and wellness starting February, going through May 2015. The Fit Challenge is suitable for all ages and fitness levels and the workouts can be done anywhere at any time. The Lorna Jane Fit Challenge will help keep me on track over a 12 week period. The 12 weeks have been broken into 3 phases (28 days each) where intensity is slowly increased. For the first 7 days of each phase there are 5 structured training circuit days and 2 Active Living days. These structured training circuits are then repeated every seven days for the rest of that phase. I will document my nutrition and fitness in my Lorna Jane diary. We have I will also check in monthly with my success. As of February 1st, my stats are as follows: I am 5'10", weigh 135lbs and have a BMI of 19.4. I wear a size 6-8 depending on the brand. While I am not overweight, I am constantly tired. I know this is due to lack of proper nutrition after watching everything I ate due to the wedding. This is one of my favorite parts of this 12 week challenge - I will get back on track with my eating. I was provided with a Lorna Jane Nourish digital cookbook which I will use to make many delicious meals over the next 12 weeks. I will share my favorites on here! This is a great movement to join if you are looking to get healthier in 2015. 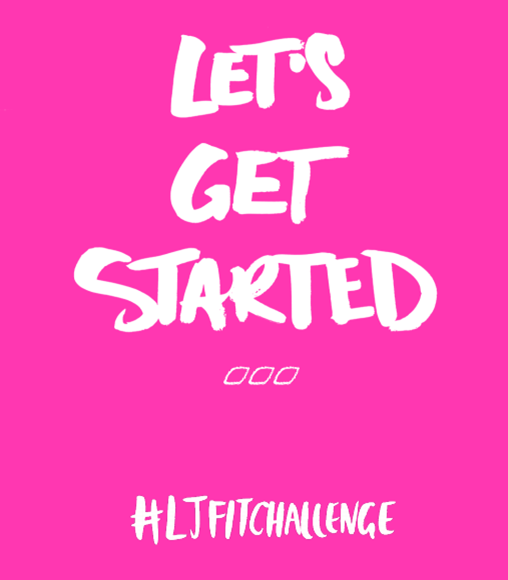 Click here to be part of the #LJFITCHALLENGE and make sure you follow along on the challenges Facebook page.